a few days ago, a friend posted on facebook that she and her husband had about 80 edging bricks to give away to whomever wanted them. ever my mother’s daughter, i jumped at the opportunity. 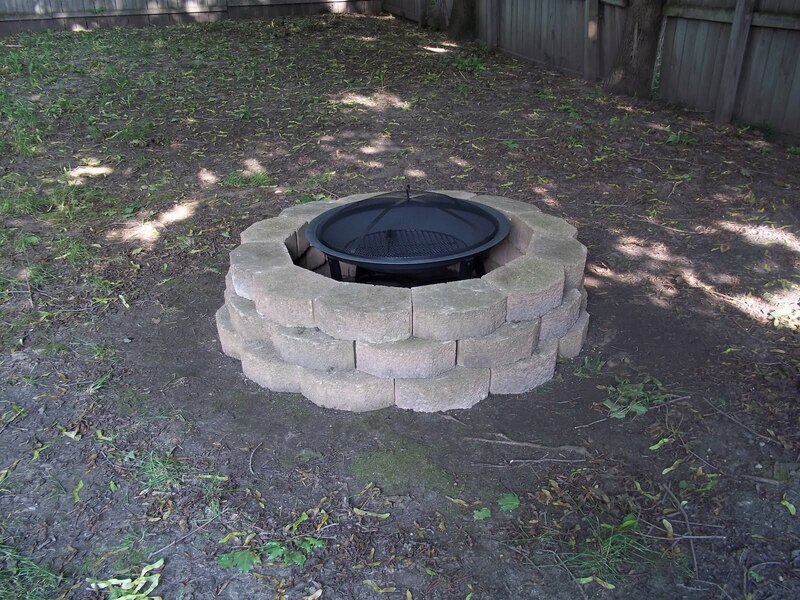 we bought a $50 fire pit from walmart, took half of the bricks, and built a fire pit in the backyard! it looks great – if only the rest of our backyard wasn’t so ugly! it’s pretty much all dirt and weeds – not a blade of grass to be found. at least this will help us get some more use out of it! first up – 4th of july bbq this weekend! This entry was posted in Home Projects and tagged backyard, fire pit, home projects, landscaping bricks. Bookmark the permalink.